The Greys made contact with a world governmental body for the first time in 1933 in Germany. However, they were turned away by the German government because it had already committed itself to involvement with the Giza intelligence. A renegade group of human extra terrestrials that were headquartered under the Giza plateau in Egypt. They were predominantly Pleadians. They were on their own, doing their own thing. Ashtar, Commigal, and even Jehovah were a part of the group, for some time. They came down here and played God with us. People worshipped them because they had technology which they used it as their power, big time. During the 1930’s, the Germans were building rockets and starting a space program due to their contacts with the extraterrestrials of the Giza intelligence. The technology developed however, was used to create weapons because the German governmental body involved were concerned that there was going to be an alien invasion. The Giza intelligence had told them that the Greys were here to invade, but this actually did not occur. Plans for weapons such as sound devices, lasers, neutron bombs, particle beam weapons, etc. were designed. Although many of these weapons were not created until much later in history, a lot of other technology was shared with the Germans, by the Giza Intelligence, like how to do: anti-gravity, free energy, etc. The United States was the first to open its doors to the alien race known as the Greys. I have been told of only one contact in 1934, where the Greys made their presence known to the U.S. government, in the state ofWashington. I don’t know the particular details but somehow the government knew that the Greys were there. It wasn’t until 1947, that actual contact occurred with the aliens and United States officials. The first face to face contact was due to the shooting down of an alien craft, namely the Roswell incident. This pressed the Greys into a contact earlier than they had actually anticipated doing themselves. After the crash inRoswell, the United States, the Soviet Union, and the British, at the very highest levels, became blood brothers. By the way, none of these governments knew what Germany was really up to. The Germans were very, very secretive about their contact with the Giza Intelligence. The Roswell incident created more of an urgency to develop a true space program to defend the earth. The United States and the Soviet governments thought that this alien presence could be a threat, because these aliens were so technologically more advanced. But the Greys in their own fashion, really back doored these governments through deceit. The true space program, this underground program that we are just now beginning to hear about, was originally financed by members of the Club of Rome. Now, you’ll need to do some homework, to find out who those members are. And don’t be surprised at who you see. We will talk more about that later, when we discuss the moon. Prior to this, in the 1850’s to the 1950’s, a hundred years, there had been some utilization of cattle and humans in experiments by the Greys. The NSA, which was created in the 1950’s learned that the Greys were responsible. 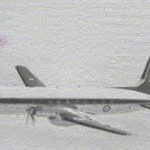 In 1952, the U.S. government prepared itself for the realization of ongoing alien contact when our military radar system started to down their craft. The Greys knew that in order to perform their experiments on such a large scale, to save their race, they would need the cooperation of a high political body. In other words, they had to come to terms. A select politically structured body, created secretly within the United States Government, was designed to be the liaison between the Greys, the technological gods, and the earth humans. The military was very enthusiastic for communication with the aliens, in hopes of exchanging technology for raw materials. This liaison group, this political structure, is and was the NSA, the super secret National Security Agency. For contact and study of the aliens was it’s original purpose. 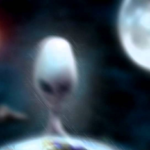 In May of 1954, at the Holliman Air Force Base, the United States Government made a formal agreement with the Grey alien race. Some of the terms of this agreement were the exchange of technology, of anti-gravity, metals, alloys, and environmental technologies to assist the earth with free energy and medical application regarding the human body. All the Greys asked for in return, was to be allowed to study the human development, both in the emotional consciousness makeup, and to reside here on earth. This single act of signing a contract with an extraterrestrial race was the most significant act in human history because it launched us in a direction we were never intended to go in the first place and it thrust us into a role that we were not prepared for either. Being hosts to an alien race. Essentially, what this contract has also done, has handcuffed the Andromedan Council and those benevolent extraterrestrial races from being able to take a more active role in the earth’s evolution. It has placed the burdens squarely on the shoulders of humanity to enlighten itself of the facts, and to consciously create ascension on an individual basis. Because this particular treaty was agreed upon between the aliens and the “ULTRA” units in the NSA, which actually is a government unto itself, they in affect turned away help from outside benevolent races that we could have obtained before. Now pay close attention, because this is the first time I’ve ever mentioned this. The particular document and original exchange material may be found today in the NSA facility, called Blue Moon, under Kirkland Air Force Base in New Mexico. It’s exact entrance is in the Monzoni Mountains. This location houses the private department of energy technological labs. Currently, the building of free energy devices for use in space and on the moon and Mars is ongoing, in this particular area. Much of the alien technology has been reconstructed and sent via a connecting tunnel to Los Alamos and an area located underneath the cliff sides of Los Alamos canyon, where huge vaults are built into the earth. This facility is twenty-nine thousand square feet in size. There are also laboratories equipped to study light, thought and pure energy there. This facility is also used as a jail for aliens captured by the black (secret) government. Corporations that are currently assisting the aliens and the black government are Standard Oil, Lockheed, Northrup, McDonald Douglas, AT&T, IT&T, The A.A. Matthews Construction Company, The Robins Company, The Utah Mining Company, and numerous more. The NSA is exempt from all laws in the United States unless the NSA itself is specifically mentioned in any creation of law. 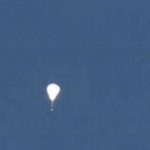 This is due to its interaction with aliens and it’s sometimes necessary infringements of civil rights and constitutional rights of the American people. In other words, to make it exempt from breaking any laws and hurting anybody here, they made it completely separate. And it is completely separate, even though your tax dollars pay for the running of it. There was also a great deal of private money used by the NSA to build the alien technology and to keep humanity under control. The status quo secure. Even the CIA doesn’t know much about the Ultra or Blue Moon units of the NSA. These are the two highest units the NSA has that deals directly with alien technology and information. Now realize that the Greys are genetic engineers, though not the only ones. Most of the aliens from off planet are genetic engineers because they value life forms as opposed to gold and silver. Genetic’s, life forms and things of that nature is their wealth. A lot of the genetic engineering and experimentation is going on here, on Earth and on Mars moon Phobos, by the Greys. They are using this opportunity to try to satisfy their own agenda, which is to create DNA and genetic stock that is clean enough to foster new physical life forms that are capable of regeneration and birth for their race. As of right now, the Greys are most interested in female genetic stock because all family lineages follow the female rather than the male. Why? Because you always know who your mother is, you may not always know who your father is. Many new races have been created this way throughout our galaxy. It’s not something that’s new going on here. This has been going on for a very long time. Few races today have actually remained as pure genetic stock, with the exception of two races that the Andromedans say are really genetically clean. That is the Reptilians from Alpha Draconis, and the other is what we call, or know as the Elohim, which are a very ancient race of humans that survived Lyra. All other races are a varied degree of hybrid or mixture of races of different genetic stock. Another point is that, the Greys themselves would like to be free from the Orion empire. They will have no chance of survival themselves if they do not create or match their body type or genetics with ours. You see, time is quickly running out for them and we as a race is also evolving at a tremendous rate. On a spiritual conscious level, we are evolving dramatically, making our genetics harder to use while they are dying out like there’s no tomorrow. And they are very aware of this fact. So, even though what they’re doing is wrong, they really are caught in a very tough position themselves. Because what they’re doing to us has been done to them. I’m just trying to draw parallels. I’m not justifying it in any way. By the way, when any of the aliens give birth to a child, they take that child outside of the earth’s atmosphere so the child is born fully aware of its reincarnational history, so it realizes who it is, and it doesn’t carry the veil. Why is this? Apparently, there is some kind of agreement; if you’re born within the earth’s atmosphere, you’ve got to be veiled. It’s just part of what comes with being born here. 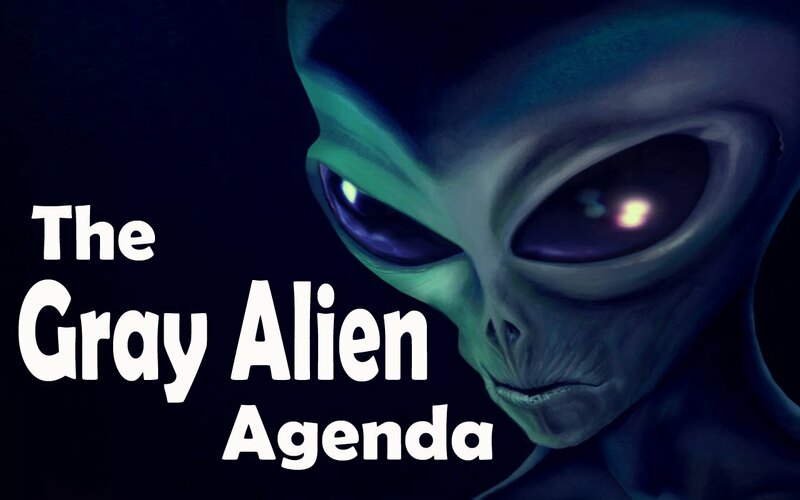 The Greys masters assigned agenda, is to create a slave race which is currently in full swing, for the purposes of control, physical services, labor and, sexual energy. Now I will explain this. The acts of feeding, war, anger, psychic energy, genetic experiments, hybrids as a food source, genetic and biological materials. The Greys and their Masters feed off this, our energy. As examples: If two people are fighting, they create a lot of emotional negative energy. And this is why you will find, that whenever there are wars going on, there’s a lot of UFO activity. Negative energy! They just feed off it. It’s liken to when your making love to your man or to your wife, and you reach that moment where you are both at the same place at the same time, in a loving benevolent way. That’s how it feels for them regarding negative energy release. The energy of fear, that rush of adrenaline, young teens on a battlefield running around scared, this is what they crave, all of the negative emotional aspects. They have also been doing extensive research on the human brain and its capabilities as well as study of the soul. Many people who have been implanted by the Greys, those who are aware of it and those who still aren’t, must become aware of the fact, that they have actually been on a kind of machine and are being shown and trained to do something. According to the Andromedans, the Greys are training us to fight their war against the Draconians (One of their masters) when they get here, because they are going to use us as their soldiers. Just like when our military sends in the infantry and marines, those implanted will be the first ones on the beach. While the Greys sitting back on board their ships drinking champagne or having a gin and tonic, and wondering how the battle is going. And they have chosen our world to be the battle ground. At the same time they are still going about preparing the earth for its new owners. Apparently, the Greys are going to make this attempt, but the inevitable truth is that the Reptilians from Alpha Draconis are on their way here now. And this has very serious implications for us. Now, honestly, I’m not here to promote fear. I don’t believe in it. But I’m telling you what I’ve been told to tell you. We have boxed ourselves into a corner and the only way we can change the outcome is that we have to consciously become aware of what our world is really about, what’s really going on here. And we have to create a space of love. Folks, that’s the bottom line. Or how about Commander Hatton, who is saying we will take you to Mars. No thanks! I don’t want to go to Mars, it just isn’t going to happen that way. Nobody is going to save you, because according to the Andromedans, if you’re sitting here waiting for a savior, you’re not doing the work yourself. That means we have got to get it straight. That we as a race, have got to come together and decide what it is that we want and how we want to live. How are we going to raise our children? What moralities, what laws, etc. Not to be told by somebody else out there, what is best for us. Folks! It’s never worked before, and it isn’t going to work now. Most human beings would rather die than live being a slave. That’s just our nature, our soul, to be free. We’re at that point again. What will we choose? You see, the Greys are currently monitoring the brain waves of those they have implanted. They have done this for the better part of a hundred years on earth. So generations of family members have had implants. The cloning of human beings, of life forms and the art of subversion was taught by the Greys to the NSA. On the two highest levels of human interaction with the Greys within the NSA, there exists cloned human beings and humans so heavily implanted, that according to the Andromedans, they do not consider them human beings anymore. They have joined the group mind of the Greys. They have lost free will. They are clone robots! Their soul is trapped and they are no longer considered compassionate human beings. The Greys clone their own race into a cast of slaves, just like ants. They all basically think the same things at the same time. Their minds are like radios. If there are no radio waves, they don’t do anything. They have computers which transmit the radio-like waves, telling them what their jobs are, their functions that they must carry out. If the computers, their group mind, were shut down, the Greys would no longer know what to do for themselves. They do not possess individual intelligence like us, although they would very much like to create us to be like them. The Greys also consider what we call God, a mind, like we think of our own mind. They have completely detached themselves from their spiritual essence, so long ago, that their physical existence and personality has become pure ego. The Draconians are pure ego, as well. Many other races genetically altered by theDraconians, are also experiencing the separation from their own essence too. Now, I don’t understand the process or exactly how it works, but the Greys no longer believe themselves to be spirit, to be in essence. They’re trapped mentally, emotionally, physically in a physical existence, therefore, that’s all they see. They literally disown and fractionalize themselves away from their spiritual essence. It’s no longer a part of them. Human beings have also been known to do that themselves, as well. You know we can fractionalize ourselves into many different personalities. The Greys are pure ego! They are very sophisticated in mathematics and energy sciences. It has been said, that our military at the time of the Holloman Air Force meeting, that there was an exchange of personnel. Our military gave the Greyssixteen military personnel and that were supposed to be taken to the Greys’ point of origin and that they left us one or two guys or something of theirs along those same lines. Well, according to the Andromedans, it was really a hundred and nine human beings that were taken at that particular exchange. They have not returned. As a matter of fact, they did not go to the Greys’s point of origin, which was Zeta Reticuli 2, rather they went to the motherships and Phobos where they were experimented on. The Greys gave virus technology to the NSA, which then was handed on to lower levels within our military complex. In Africa, we find the testing ground for the AIDS virus. There’s a reason for this. This virus technology was given by the Greys to the biological unit in Ultra within the NSA. One of NSA’s underground facilities is underneath Fort Mead in Maryland. At that location there are nineteen acres of underground caverns, with some of the most highly technological and sophisticated super computers in the world, that were built and designed inside the facility. They have never seen the light of day. This area, and the one in Mt. Hood, Oregon are engaged in massive surveillance of the world’s telephones, telegraph, telex, fax, radio, television, microwave communication, NORAD and also space radio waves. The complex in Mt. Hood is where our military is cloning human beings and aliens. I don’t know what alien races. Jumping back in history a bit. In the late 1950’s, the Greys also approached the Russians regarding the signing of treaties and mutual exchange. The Russians, however, already at the time, were included in the proceedings of the NSA, chose not to sign this independent treaty because they knew full well that the Greys would try to pit the United States against the Soviet Union. It is in fact the Soviet Union that informed JFK of the Greys presence, during the Cuban missile crisis. The Andromedans have stated that the Russians were trying to blackmail the U.S. into sharing the alien technology, thus the Bay of Pigs. That’s when they put the missiles there pointed at the United States. The Russians became increasingly aware that the NSA and the CIA were developing incredible technology and were not sharing it, as was their agreement, shortly after the Holloman agreement. Apparently, JFK asked the CIA three times if the Russian allegations were true. The CIA lied twice to the president, even though nuclear weapons were only eighteen minutes away from striking the U.S. They just flat out lied to him and said, “No. They’re nuts.” This prompted JFK to want to scatter the CIA to the winds. This is one of the more important reasons the “black” government found JFK as a threat and had him make a physical transition prematurely. It was JFK’s desire that some of this technology would reach the common people and be used for the betterment of mankind and that it be made known to the American people that the alien presence was upon us. This is one of the reasons why he successfully launched a civilian space program so that all Americans and people of the world could share in the discovery. In 1953 satellites and radars showed large objects coming towards the earth. They were Grey motherships. These time traveling space crafts were the same crafts seen near Venus in 1787, 1788, 1789. In 1645, it was reported that a large moon was seen near Venus. For other times, as well in the same year, it was seen coming and going. The last time it was reported was in 1767. The same type of occurrence happened around Mars, on November 25, 1894. A large ship was seen illuminating part of Mars. The same occurrence for Mercury in 1799. The same large planetary body crossed the sun on August 26, 1859 and this same body today, that’s still there, is called Volcan. It’s a mothership. It isn’t a planet. During the total eclipse of July 29, 1878, astronomers saw two large glowing planetary bodies, about the size of Venus, between Mercury and Venus. According to the Andromedans, these were Pleadian and Andromedan motherships that had gone back in time. They were observing the Greys orbiting around the sun. They wanted me to share all these dates with you. I don’t necessarily know why, but here are some more. In 1783 and 1787, huge bright lights were reported on the moon. They were mistakenly reported as volcanoes, at first. But then they moved and lit up the dark side of the moon which cause a noticeable glow around the top portion of the moon. In February of 1894, a comet was apparently photographed striking a huge dark object in our solar system. It happened to have wings and, according to the Andromedans, this was a Draconian mothership. The same phenomena occurred in April 4, 1892 and it was about one third the size of the moon, six to seven hundred miles in diameter. As it crossed astronomers thought that it was a bird, but its wings didn’t flutter. Again, this was a Draconian mothership. This was observed again on January 27, 1912. A ship two hundred and fifty miles long, fifty miles wide, resembling a crow, was sitting on the moon. According to the Andromedans, this again was a craft from reptilian Alpha Draconis. Many operations have been created by the Greys over the past five hundred years for the purposes of manipulation and control of our religious belief systems. I don’t want to offend anybody, but I’m going to tell you just the way it’s been presented to me. All you have to do is listen. If it doesn’t feel right for you, then dismiss it. If it does feel right, and you get the chills, then maybe you should start paying attention to it. To have us morally and spiritually compromise our free will to a savior-like image, the Greys by allowing us to compromise ourselves under these false pretenses, they are absolved from the creating any Karma for themselves. Instead, they let us create the Karma to ourselves. It really is such a set-up. The power of belief systems can be used as fuel for the game of seducing people into believing that certain things are true. By the power created by the conscious thoughts, we can literally make these things occur and come true, whether they benefit us or not. These are real spiritual dynamics at work here and they’re being used against us. Our physical matter (physical body) is the embodiment of ideas or belief systems. Our Universe consists of ideas and thought systems, condensed and turned towards itself, inwards. We turn it towards ourselves to create and originate spirit and energy. Now if I need to say it again I will. This is our definition again, word for word. Our physical matter is the embodiment of ideas (belief systems). Our universe consists of ideas and thought, condensed and turned towards itself, inwards. To create and originate spirit and energy. In other words, we really are gods. We really can do anything we want to do. We, of earth, have evolved only in technical and material sciences. Our spiritual evolution, for the most part has been suppressed from us by a group of extraterrestrials, and now the black government and its plan for aNew World Order. Because upon learning these spiritual truths, the NSA and the black world government, realized that everything that they have been trying to do can be swept away. If a billion people come to the realization and a decision that we no longer want this reality, it can literally change with the setting and the rising of the sun. But, they stress, we need to be clear of what we want, which is part of the decision, and our responsibility factors. That is ours. In other words, if we’re going to create it, we take responsibility for it. The Shroud of Turin. According to the Andromedans, this is one example of the extra terrestrial manipulation or assault of our belief systems. This holographic image on the shroud was created by the Greys to strengthen a belief system in a savior or messiah. This belief system assists their plan for control because humanity would love to give their power away to someone that appeared to be a true and legitimate messiah, because we’ve been taught to do that. The Greys know that few people truly want to accept responsibility for their own evolution. Most would rather be told what to do, than to realize the situation and take the appropriate action necessary to free themselves. To further realize the Grey manipulation on a belief system level, there is also a plan in development to play out a staged second coming. This will occur shortly after the destruction of the world economy, maybe six years, tops. 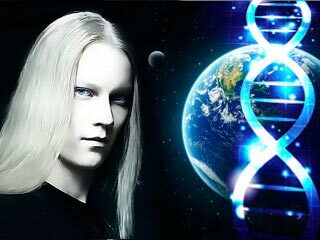 This being will be a clone human being, a biological, who will holographically be imprinted with everything from spiritual truths regarding information about all religions, metaphysics, and he will come out speaking about all of these great wonders. He will strongly profess the Hindu philosophy. Why, I don’t know, but this is what they’re saying. The intent is evil; this being will not have a soul. He is not spirit. He is robotoid, a clone, a robot, a synthetic. The Greys have this kind of ability to stage this kind of action using their technology. He will be the image of the man on the Shroud of Turin. The Anti-Christ will not be the evil soul portrayed in the Bible. The Anti-Christ will truly be someone who tried to express the truth on the true matters and seize the United States government as the cause of all this evil. This is what they’ve said. Now, I have to add this, in defense of that belief system. The Vatican, in 1960, admitted that there were fourteen plagiarisms in the New Testament. They refused to say what they were, but they said that there were fourteen. That means you can’t believe by it as gospel, so to speak, because they changed it. It wasn’t God who wrote it. The church changed it and they admitted it. So, you do with that what you want. But everyone is believing it has to happen, and by us believing it has to happen, ladies and gentlemen, we’re going to create it! We’re going to make it happen, and they’re sitting up there laughing at us, saying look at those idiots. Look what they’re doing to themselves. The Greys were responsible for the Fatima episode in Portugal, where the Virgin Mary supposedly spoke to the children. This was a holographic image of a woman who professed to be the Virgin Mary, the mother of Jesus Christ. The sun supposedly fell from the sky and miraculously healed people. Using Grey technology, these somewhat miracles did occur., But they used light and sound, which they beamed from their ship to the various people affecting these cures in their physical bodies. Now, this is technology that has been here on the earth, at least the last hundred years or more. But it is against the law now, in most places in the United States because it works. And that’s color and sound. And the reason for sound work, is because the entire universe is a holographic projection turned inside of itself. It’s all a holograph. Virtually all the people present were implanted during the missing time phase of this episode. A large mothership positioned itself in front of the sun to create this occurrence. The reasons this is not a true is because the biblical Jesus is a composite character. And as such, is an allegorical myth. The Virgin Mary is also a composite character and these composites were made for the purposes of uniting the religions of the ancient Roman Empire so that their resources were not being used to constantly stop religious wars between different factions. In the 1950’s the so-called meetings of the Jason Society were triggered by information given to the Ultra unit in the NSA by the Greys about the world’s situation regarding pollution and population. It was at this particular time that the Greys offered little assistance or sharing of technology regarding environmental issues. This has persisted even today. The Pleadians have in fact, offered more solutions than any other group to date, but they were turned away by the NSA. This prompted the first of three alternatives that have been discussed in UFO circles already. These alternatives are in fact, and were in fact, a reality. That’s alternative one, two, three and four. The New World Order is in a major predicament. The Greys are twenty-five hundred years ahead of us technologically. The black government is afraid to tell us the truth concerning this reality because they fear a revolution, overthrow, and desire self-preservation form the people who will want their scalps. Two large motherships are on the planet right now, hiding in the oceans. One is in the Pacific Ocean, below the equator and the other one is in the Atlantic. I don’t know where. I don’t know whose they are, but they’re here. My sense is that they’re benevolent because the government has actually talked about implementing alternative four which was creating a controlled pole shift. The Andromedans have said no way would they allow this to happen. So my sense is that there are benevolent ships that are anchoring the planet on its axis. That’s my opinion. The military know that this is why they’re testing sound in the oceans, especially in the Pacific. Aliens have been attacking us more openly in space. It started with the Russian Phobos probe when it was destroyed. The Mars observer was captured by Reptilians on Mars. It isn’t going to come on-line. It’s gone. Also, closer to home, in December 1993, a Landsat satellite disappeared in orbit, just vanished. In August of 1993, the European space agency lost two communications satellites, again, they literally just vanished from orbit. The Canadian Telstar was destroyed in our atmosphere on January 15, 1994. It was seen crashing to earth. This was shot down by the Greys. Again, I don’t know why. A NASA Satcom 3 communications satellite vanished in May of 1979. It was just taken. Two Soviet Millennia satellites were also taken. They just vanished from our orbit, from our atmosphere. The benevolent races have told the world governments that they would help us but world governments have to dismantle their nuclear weapons. The earth governments did not want to do this because they don’t know who to trust. They created this situation and they do not know who to trust now. However, the world government is so desperate to get rid of the Greys, that they apparently have put a call out for help, using satellites. The Andromedans say there is a group that has offered to help our earth governments with the problem of the Greys, even by giving us weapons to fight the Greys. Re-enter, the Reptilians from Alpha Draconis, the only real enemies the Greys have, and that humankind has. The Reptilians from Alpha Draconis have answered the call. But the Greys actually work for the Draconians. It’s all part of the set-up. When we invite them in here there will be no battle. And once they’re here we’ll never get rid of the Draconians. 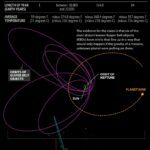 The Pleadians are assisting the Andromedan Council in attempting to quarantine our solar system from invading forces, namely the Orion Group and Alpha Draconis. The quarantine line, the defense line, is between Uranus and Pluto and consists of a mixture of benevolent races, both physical and non-physical. There are Pleadians, Andromedans, Arcturians, Syrians from Syrius A, Reticulin, Accordance and Umonians from Umo. This line of defense is really like a last resort. Apparently, two huge Grey motherships have already been turned back that were on their way to Earth and Mars. And apparently there were casualties on both sides in the exchange of turning them away. Please realize that currently, there are fifteen thousand Greys underneath the United Stares. The Greys (Dows) are in fact, a renegade group of Reticulans. They are not from Reticuli and haven’t been back there for hundreds and hundreds of thousands of years. They have been travelling through space in their arc’s. Before they came to Earth, they were residing on Sirius B. That was their originating point before coming here. There are approximately eighteen hundred and thirty-three Reptilians living beneath the United States. Their habitat is from one hundred to two hundred miles beneath the surface of the earth. They generally live in caverns and the ancient tunnel systems created hundreds of thousand of years ago. They are not benevolent. And, every once in a while, they come up for a contact. They have been seen in New York City, Missouri, Chicago, and in the southwest United States. These area’s happen to be the largest areas where missing children occur, numbering in the thousands. The Andromedans state that thirteen thousand seven-hundred and twelve children have been taken by these Reptilians over the last twenty-five years. In Linda Molten-Howe’s book, "Alien Harvest", there is mention of human body parts seen in underground bases. The Andromedans confirm that we are being used for food. The Greys use our blood and it is the Reptilians that consume the live human flesh. Their favorite food is children because they lack nicotine, caffeine, and other environmental pollutants. Like we eat veal, they eat us. The Greys are searching for walk-ins for they want to learn about spirit. I’m speaking about benevolence and not satanic possession or that kind of stuff. Walk-ins are necessary at this particular time. They are higher evolved souls. Seventy-two thousand walk-ins are on the planet right now and are a part of the Andromedan Council. Seventy-two thousand more are coming in the next three years to balance the negativity that is being created. Because of the Councils laws of non-intervention, the Andromedan Council found it necessary to intervene in another way without violating its council directives. Thus, the walk-ins who are actually earth human beings, are here to do that kind of work. It’s a backdoor approach. There are fifteen hundred and thirty-one actual benevolent human extra terrestrials on our planet right now. Where they are, I don’t know. But they are here to record, report and observe, and possibly assist some of the walk-ins. And at some point, they will be leaving. But, apparently they live just like us, and they’re in our every day lives. Keep these facts in mind. There are eighteen thousand Greys; fifteen thousand here on the Earth and three thousand on the Moon. The regular government which makes up the majority of Washington, D.C., doesn’t have a clue as to what’s really going on. The black government, consists of various levels. At the top, they know everything. The lower levels only know small pieces, on a need to know basis, usually just one piece of the puzzle. The total picture is one outrageous secret based on deliberate deceit that creates the subversion of the public trust.